Kodi (formerly XBMC) is a free and open-source media player software application developed by the XBMC Foundation, a non-profit technology consortium. As of version 14, XBMC has been renamed to Kodi. Because of this, installing Kodi v14 on a device that has an old XBMC install will cause some changes. For Android devices, you must not uninstall XBMC before installing Kodi. Doing so will erase all your settings and libraries. For all other devices, don’t uninstall XBMC just yet. While your settings won’t go away, we will need the older version in order to backup your files first. Once Kodi v14 is installed then the older XBMC version can be uninstalled safely. You might wish to first open Kodi v14 to confirm your older settings were transferred just to be safe. The default username for the web server has changed from “xbmc” to “kodi“. 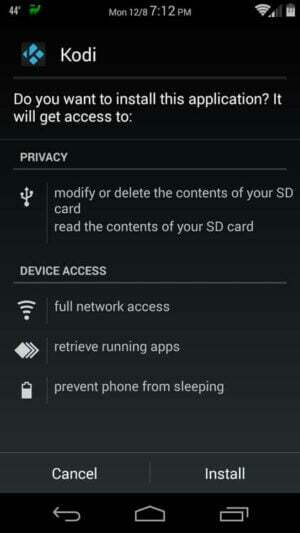 This might also affect some smartphone/tablet remotes that use the webserver for extra data. You can either change the default back to “xbmc” in Settings (Settings -> Services -> Webserver) or change the username on your smartphone/tablet app to “kodi”. Users who have changed their default usernames should not be affected. Upgrading XBMC Kodi on Windows is extremely easy. As always, first backup your XBMC settings and library so you can go back to it in case something breaks. To do this, navigate toC:\Users\UserName\AppData\Roaming and copy the folder named XBMC and paste it to a backup location of your choice. To restore, copy this back back to the original location replacing any existing XBMC folder. Head over to the Kodi downloads page and download the latest binaries for your Windows architecture (x86 vs x64 bit). Once Kodi download is complete, run the installer as if you would install any other software. Your settings and libraries should be automatically imported from XBMC to Kodi. Finally, run Kodi to ensure that everything works as it should. Note that for Kodi all settings and libraries are stored in C:\Users\UserName\AppData\Roaming\Kodi, instead ofC:\Users\UserName\AppData\Roaming\XBMC. Then uninstall XBMC (and you may delete the XBMC settings folder). That is all there is to migrating from XBMC to Kodi media center on Windows. Updating XBMC to Kodi on Linux works pretty much the same way as Windows. Once again backup your settings before upgrading, using the following command. You may also choose to delete the settings folder /home/user/.xbmc. That’s it you are done upgrading Gotham to Helix. On android the installation is a bit different in that when the XBMC app is removed the settings are removed as well. Therefore, it is key to install Kodi first and then uninstall XBMC app. Once again head over to XBMC Kodi download page and download the latest APK for android. Fire up the file explorer, navigate to where the Kodi APK is stored, open it, and complete the installation. Kodi will be installed as a new app and the installer will automatically upgrade XBMC to Kodi settings. Open Kodi app to ensure that everything works as expected. Finally after you upgrade XBMC to Kodi, uninstall the XBMC app. 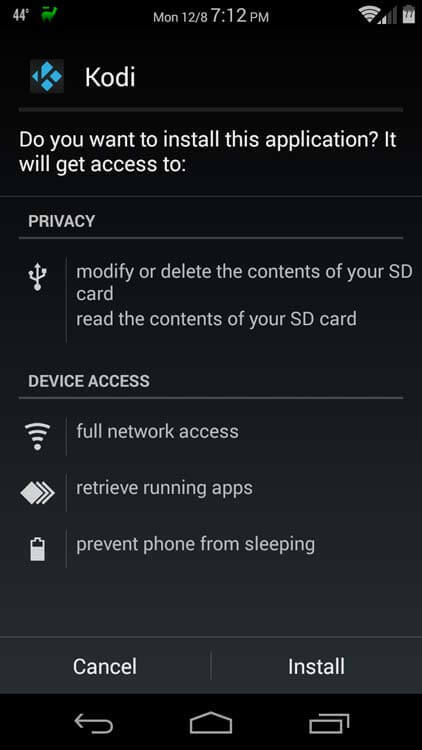 In addition, you may also delete the XBMC settings folder located in a location similar to/sdcard/Android/data/org.xbmc.xbmc/ files/.xbmc/userdata/. Note that the actual location may vary a little bit from one device to another. To upgrade XBMC to Kodi on Mac, head over to the Kodi download page and download the latest Kodi .dmg. Install it as you would install any other Mac application. After installation, open Kodi to ensure all settings and libraries have been imported correctly. And finally, remove the XBMC application. Kodi will create its own settings folder and so you may delete the XBMC settings and libraries folder. That’s it. Kodi brings several key improvements including library improvements, adds more user control, improved support for android boxes, and support for ATSC sub-channels in the US. In my tests, Kodi 14.0 Helix RC already looked very stable. But I suggest that you wait until the final release is out to upgrade XBMC to Kodi. Next PostNext FEES related to Kodi. Right or Wrong?